With only the scantest of rules regarding what you can build, some of the most spectacular competition cars in the world are found in the FIA-sanctioned hillclimb championships. Bedecked in massive wings and diffusers to stick them to the twisty tracks that are actually repurposed streets, screaming engines (sourced from F1 in this case) reverberate off the trees—full of high-tech, lightweight composite materials, a proper modern hillclimb machine can make Group B cars look like floor models. Throughout the 2000s, Europe’s top level hillclimb series was dominated by one man in his blue and white BMW, but he wasn’t just known for winning, he was also famous for helping his rivals configure their cars so that the competition would be closer, because it’s no fun winning with no one in your rear view. Plasa would also lend a hand in sourcing hard-to-find parts, and beyond his good sportsmanship between competitors, he was also tirelessly promoting the sport in general. Unsurprisingly, for the nearly two decades that he was involved in it, Georg Plasa was one of the most popular people in hillclimb circles, not just the fastest. When he was killed at the 2011 Cuppa Bruno Carotti in Italy in an accident, it’s no exaggeration to say that the whole populace of the sport was absolutely devastated, and his tragic passing still casts a long shadow many years later. 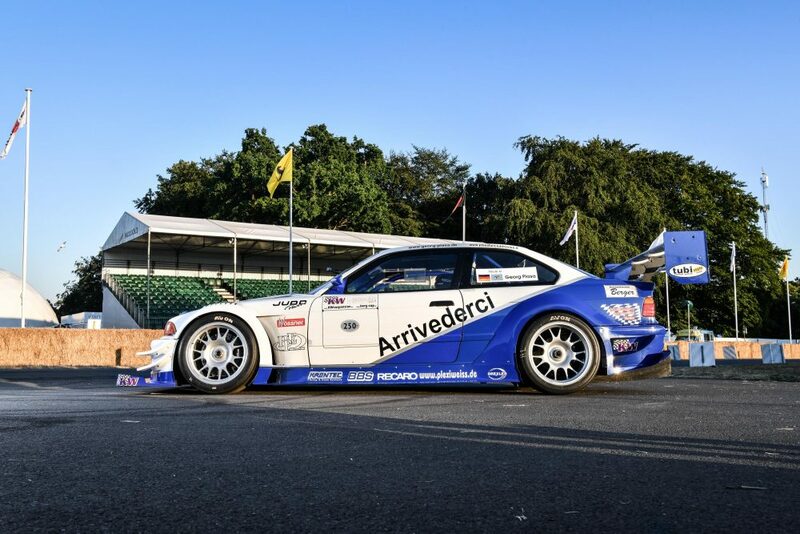 The accident occurred in his newer 1-Series BMW, but it was his previous E36-based racer that was his most recognizable. Having been partly cannibalized for the new build, the E36 was left parked up in his workshop. 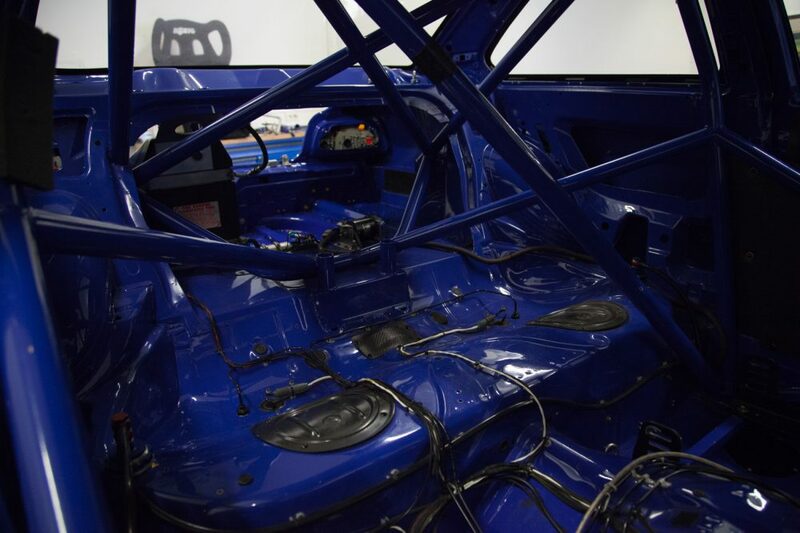 Not long after the accident, his family began receiving sales enquiries, both for the whole car and for its parts, but they didn’t want it going into someone else’s hands just to be repainted and reengineered. Which is where longtime friend and suspension man, Klaus Wohlfarth, founder of KW Suspensions, stepped up to buy it from the family. Not only did he make the kind offer to match the highest bid that had been made, his only intention was to preserve the car for prosperity. For many years it was stored in the secure part of KW’s warehouse awaiting its time, but an invitation from the organizers of the Goodwood Festival of Speed to demonstrate the car provided an opportunity to get the car back into its former glory, especially as the event was one that Plasa had always wanted to do but never got the chance. 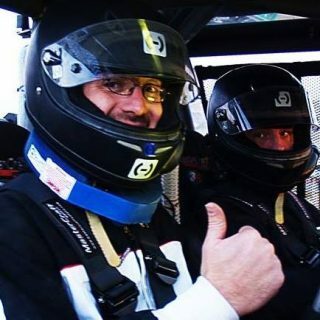 Plasa had a keen interest in motorsport from a very young age, and he started his career in speed by motorizing a soapbox cart when he was just 13 years old. As a teenager he was a co-driver in local rallies, but when he was old enough to get his competition license he began rallying his own beat-up BMW 2002. 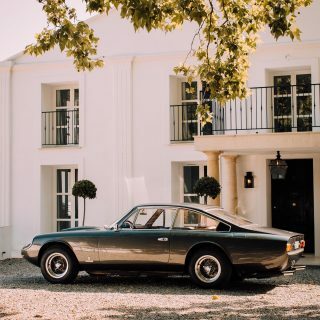 The opportunity to put his mechanical engineering skills to the test, especially regarding aerodynamics—he’d grown up with friends and family in the aeronautical industry—was better served in hillclimb racing than in rallying, and so that’s where he turned his attention. 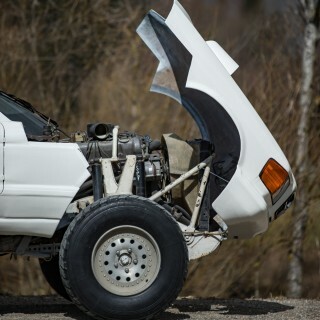 His first serious car, based on an E21 3-Series, became a fixture at events in the late ‘80s as he developed it more and more until with its wings and homemade diffuser it looked more or less like a Group 5 car. But it was the later E36 that became the legend. The build started life as a 1990 320i and first saw action in 1999, initially powered by a highly tuned S14 inline-four taken out of an E30 M3 that Plasa had somehow managed to wring nearly 400 horsepower out of. But operating far beyond its design parameters, it required a full strip down and rebuild after every single event. 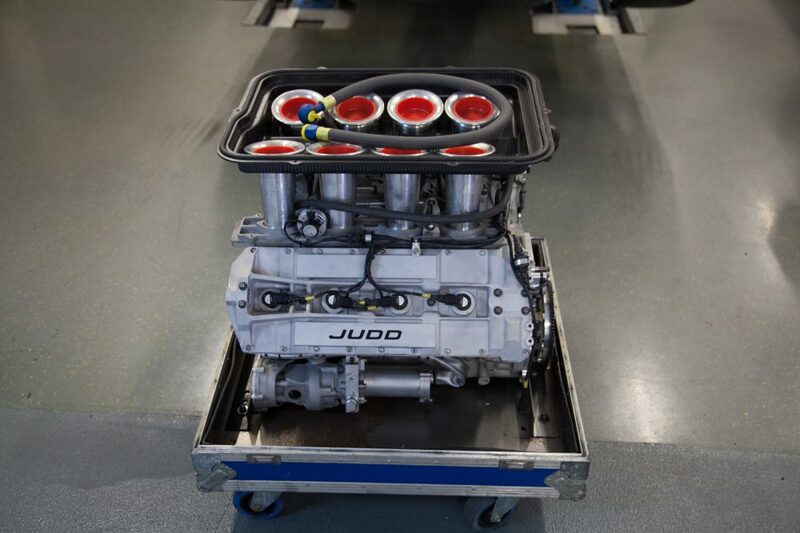 In 2003, upgrading to a 3.4L Judd KV675 V8 out of an ALMS LMP2 racer was a large financial investment, but without needing to strip it down after each race he had more time to concentrate on development in other areas of the car. Surprisingly, between the suspension turrets, the shell is all original BMW, as per the FIA E1 class rules, but everything else was stripped out in a ruthless effort to save as much weight as possible. If anything could be made with carbon fiber it was, including, incredibly, the drive shaft and half shafts. Plasa worked closely with KW to develop the special three-way adjustable racing suspension setup, which in conjunction with the front and rear anti-roll bars could be tweaked to the optimum spec for each event. The top mounts were made with magnesium and the center lock spindles for each wheel were cast from titanium. 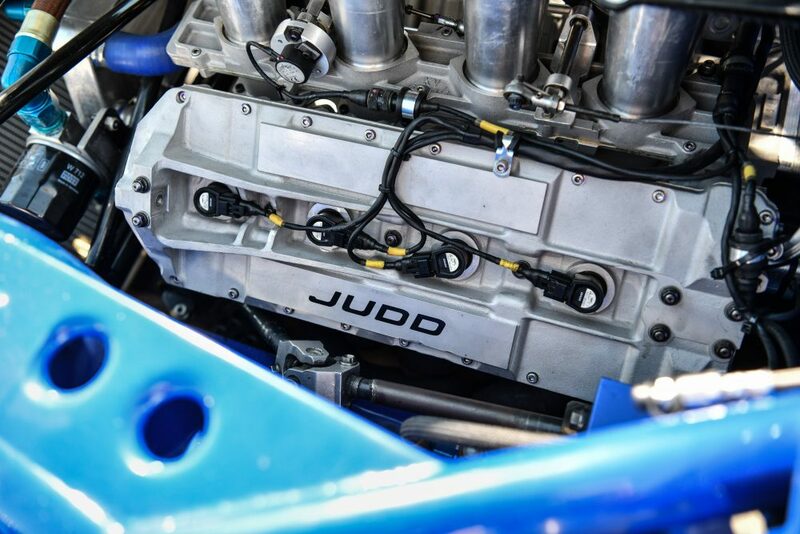 The gearbox is a Hewland six-speed sequential, which is selectable under full load, and it used a self-made carbon fiber paddle shift, something an amateur garage-build doesn’t typically tackle. 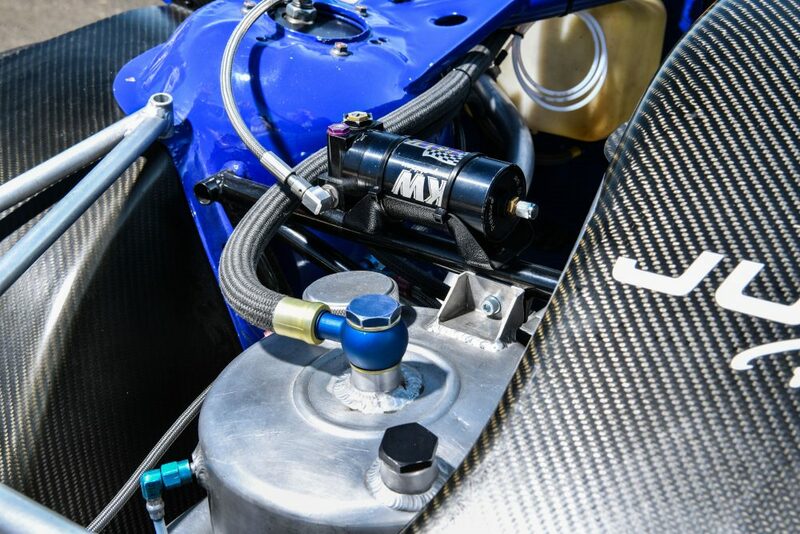 The clutch is a Sachs 5.5” carbon fiber three-disk unit, and adequate stopping power is provided by AP Racing six-piston calipers with Sicom carbon ceramic discs; 360x24mm on the front and 304x25mm at the rear. The wheels are a set of forged single-piece 18” BBSes made from magnesium. The rear differential casing is made of aluminum, and for better weight balance the alternator is mounted on and it driven by a transmission gearing. With a Motec M800 engine management system complete with traction and launch control, weighing just a scant 895kg, with wind-tunnel-tuned aerodynamics that produced gobs of downforce, and packing a 560bhp engine revving to over 10,000, it was a fierce vehicle just to watch, never mind to compete against. 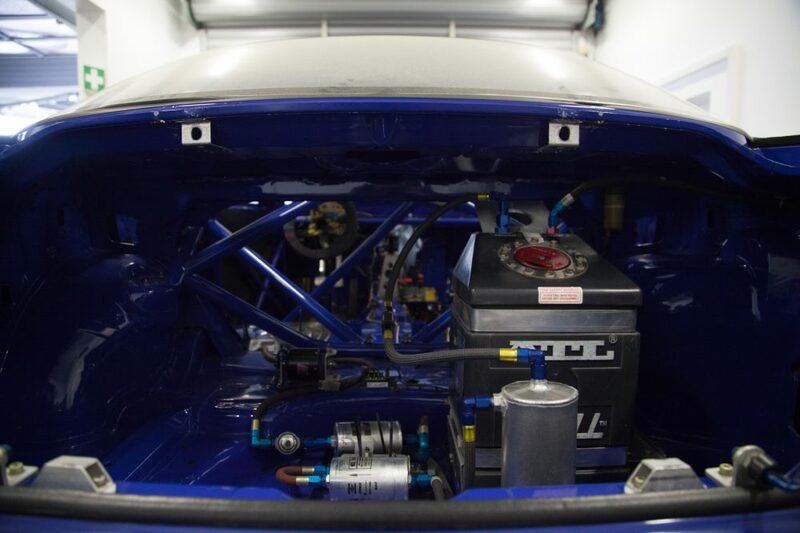 It was with this car that Plasa won the FIA European Hillclimb Championship six times in the mid-2000s. 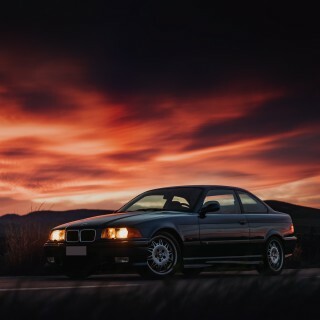 Because its successor, the ill fated 1-Series, was another garage build that took parts from the E36, getting the car running again meant much more than a simple dust-off and battery charge. 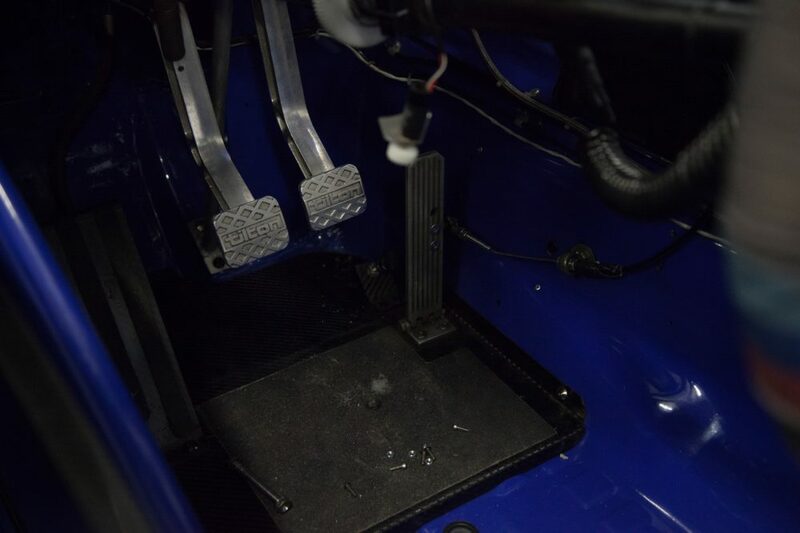 The cooling system’s elements were missing, as well as bespoke linkages from the paddle shift system. Everything was made by Plasa himself and just for this car, so there were no parts catalogues to go to for the pieces needed, and a lot of reverse engineering skills were needed to fill the gaps. 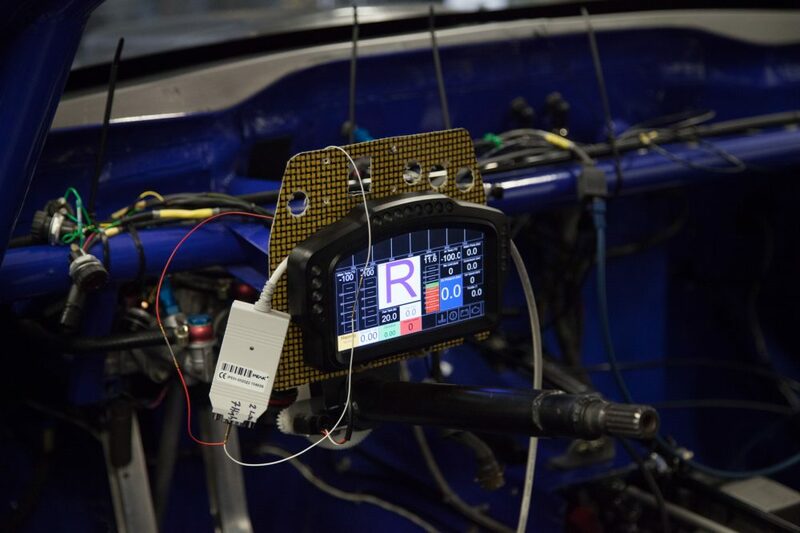 As an indication of what Plasa’s legacy means to people, it was done by KW mechanics and trainee engineers who worked on the car after normal hours. The only existing part that had to be changed though was the seat. The FIA safety certificate for the original had expired, so they contacted Recaro for an up to date one. When they heard the words Plasa, BMW and, rebuild in the same sentence together, they were only too happy to send over one of their top of the range lightweight carbon fiber buckets. Tires could have been a big sticking point too. 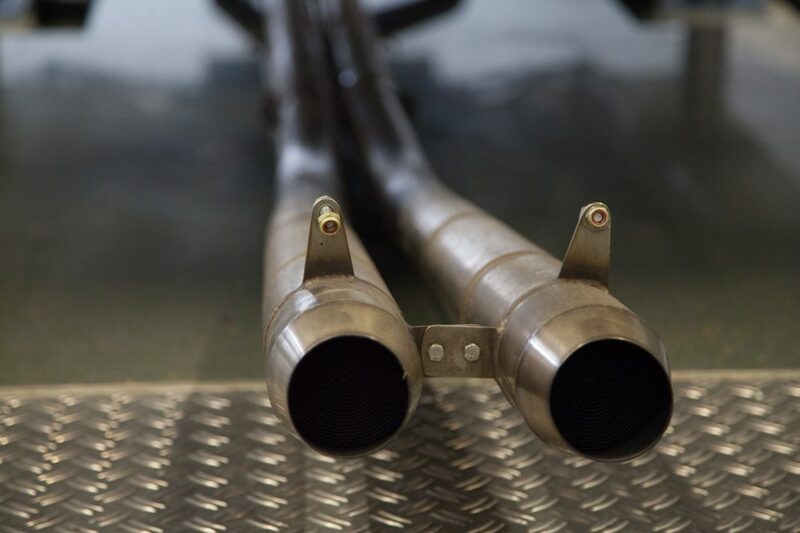 In the 2000s, Plasa competed with a set of Avons with special sizes, 275/650/R18s on the front and 285/650/R18s on the rears, and they were made with an incredibly soft compound such that a set would last the 895kg car just a single climb. To get the car how it was supposed to be again, it would need these same tires… which Avon had made for just this car over ten years ago. Again though, once they found out that the rebuild was to be done as a tribute to Plasa, they modified an existing mould and four sets of the unique rubber were donated to the project. Six months seems a long enough time to get a car ready, but as it was an off-the-books project they didn’t have time to finish a couple of things. One was setting up the complicated electronics for the ESP system. Another was working on the specially tuned ABS system which could be manually adjusted to change the bite point for different conditions. This is now something fitted as standard on many of today’s supercars, but at the end of the ‘90s this was cutting edge race technology. A week before Goodwood, the car was ready for a shakedown with driver Jörg Weidinger behind the wheel. 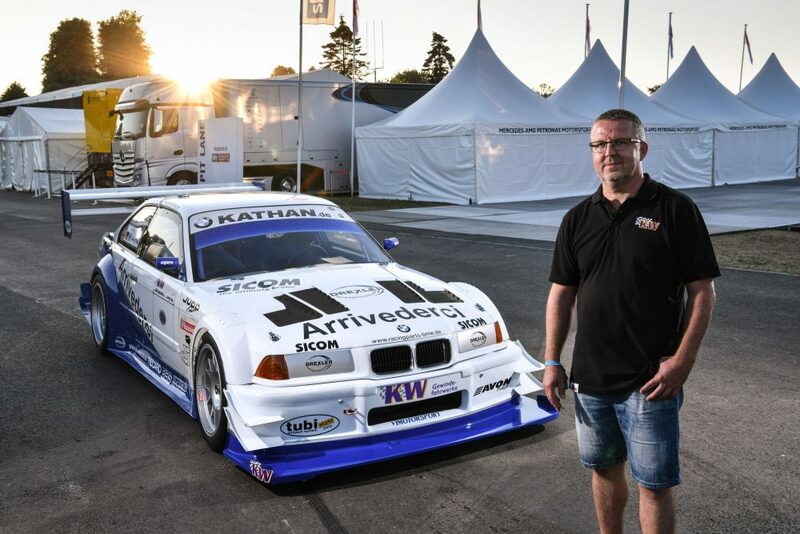 The BMW M suspension engineer is a good friend of Klaus’s and a successful hillclimb racer in his own right, and after four hours of track time for a full systems check, the car was deemed ready. 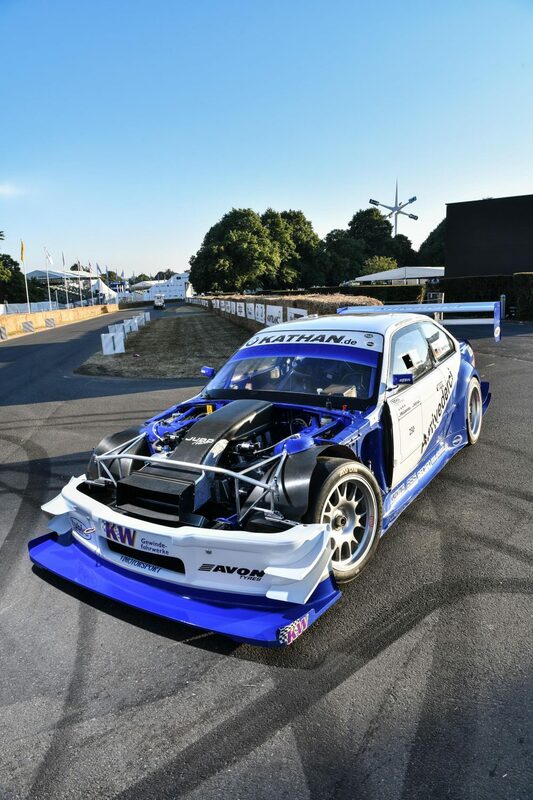 All Klaus wanted to do at Goodwood was demonstrate his friend’s old car to a new set of motorsport fans, and the rebuild was undertaken as a tribute to Plasa, but then they saw some of the times Jörg managed on Friday and Saturday. Being faster than a current DTM BMW M4 in a 20-year-old garage-built car, especially as the ESP and ABS systems weren’t hooked up, seemed surreal. The times were good enough to get them a place in the coveted final shootout, the most popular part of the weekend. The only cars to go faster all weekend were the new electric-powered VW IDR Pikes Peak and the NIO EP9, a 1,360bhp electric supercar, both vehicles with tens of millions of pounds of development work spent on them. 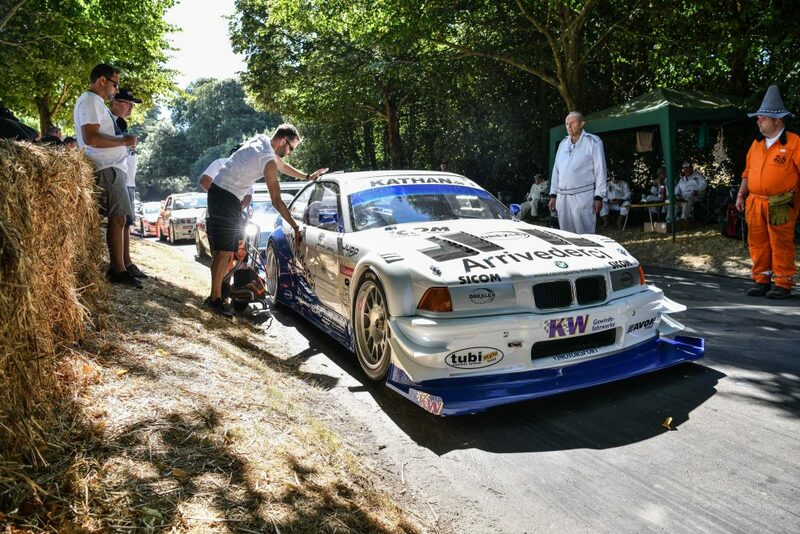 3rd overall, Plasa’s BMW E36 was the fastest petrol-powered car up the hill, which, any way you chose to look at it, is an absolutely incredible achievement. I would love to see this but I live in the Netherlands. We don’t have hills! 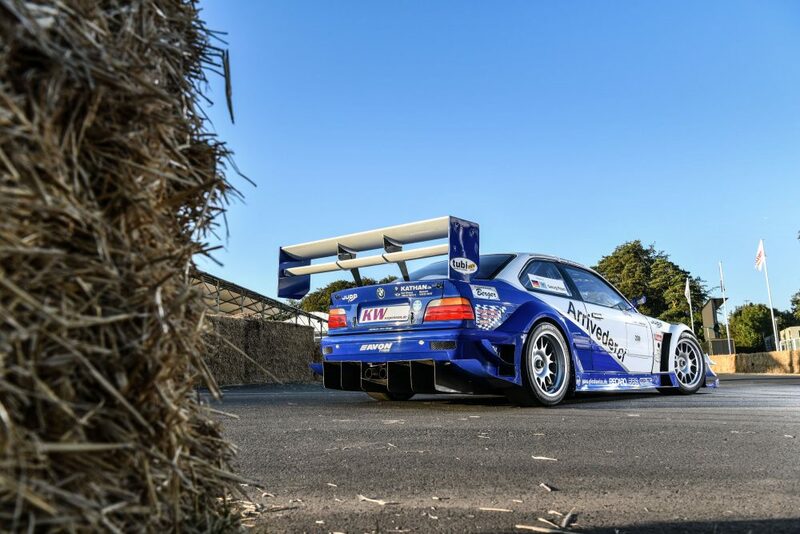 But the author is right, hillclimb regulations give us the most incredible cars. Such variation. It’s the wind. We have a lot of wind in this country and it always seems to be against us.